What are the different phases of the moon and how do they correlate with ritual and manifestation? The lunar cycle can be split into two parts; waxing and waning. Within each part are four phases. The Waxing part commences with a New Moon. This is the perfect time to plant ideas, begin new projects, set intentions and proactively follow your dreams. The waxing moon phases are governed by yang energy which means we feel motivated, proactive, and are more inclined to get sh*t done. The waxing phases are New Moon, Waxing Crescent, First Quarter and Waxing Gibbous. 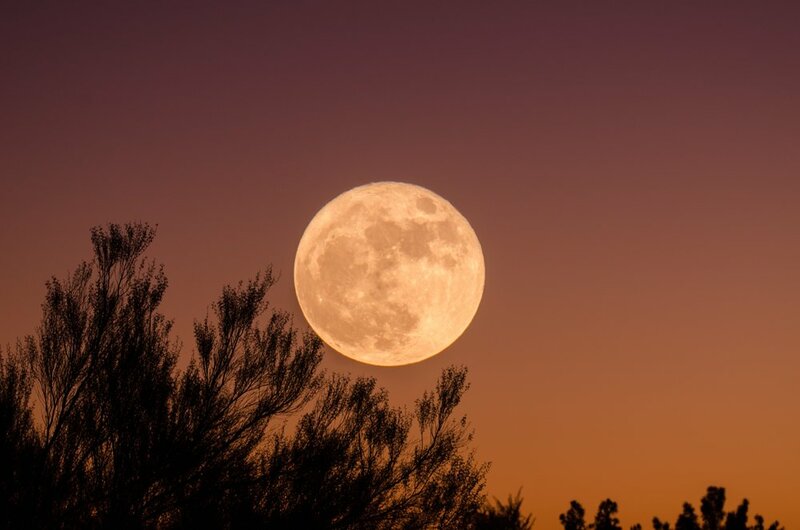 The Waning part of the lunar cycle kicks off with probably the most recognisable of the cycle; the Full Moon. The Full Moon is when we release, forgive and let go of the things which are no longer serving us. This is a vital process in manifestation because it creates space for fresh ideas, people and experiences to come into our lives and releases any wasted energy we’ve been holding on to. The waning moon phases are governed by yin energy which means it’s time to rest, recover and reflect. The waning phases are Full Moon, Waning Gibbous, Third Quarter and Waning Crescent. How did you START WORKING with lunar cycles? It was funny, we had always spoke about the moon at home when I was growing up, so subconsciously I think I had been working with them most of my life, but I really got interested in the different phases and how they affected me energetically when I was in corporate burnout, and was willing to take any assistance I could to help manage my energy better. Friends and work colleagues were always curious about what I would do for each moon, so I started an email group of about five people, outlining some of the different practices. This slowly progressed to twenty people, then 100 people and then eventually I was like “there’s something in this”, so it soon became the focus of my business. How has working with the moon changed your life? Above everything else, the lunar cycle holds me accountable. Every new moon I set intentions, every full moon I release, forgive and surrender. If my energy levels are low during the waning phase, I know that it’s time to rest. If I need some momentum behind a project I work on it during the waxing phases. The moon was definitely my introduction to manifestation and now manifestation has become such a large part of the work I do that I’ve actually just signed a book deal, and will have a book out, Make It Happen, in May 2019 about manifestation! (Totally manifested that book deal btw). I’m fortunate enough that I have created an event series around the New Moon, called Lunar Nights, and an online course, The Lunar Nights Collective, which guides people through all eight moon phases. Because this has become the basis of my work I am forever accountable to it and it’s helped me immensely, especially when it comes to my manifestation practice. How does working in a communal setting heighten lunar work? You just can’t compete with the conscious collective. I get about 40 conscious individuals at every Lunar Nights event, raising their vibrations, setting intentions and manifesting their future. High vibes are infectious and when there’s a group of people all manifesting in the one space the overall vibrational frequency is much higher. I know personally that the intentions I set at Lunar Nights always manifest faster than the ones I do by myself at home. What can a newbie expect from a lunar nights event? Well I like people to arrive with zero expectation, because that’s part of the fun, but you can expect to leave feeling relaxed, inspired and motivated to get cracking on your manifestations. Many people come by themselves and others come with friends, but I find solo attendees tend to get a lot more out of the experience. If you’re an introvert (like me) you are 100 per cent safe. There is zero participation with other guests (unless you want to of course), but there is a chance at the end to socialise with attendees (or you can totally back door it and no one would know). The night is a series of guided meditations, intention setting exercises, and open discussion. And then I run everyone through my formula for successful manifestation. Who would you recommend come along to one of your events? Lunar Nights is suitable to everyone. The most enticing thing about it is that it offers a new way to look at and understand spiritual concepts that often go straight over peoples heads because they don’t fully comprehend them. For more information check out Jordanna’s Lunar Nights events and online course, The Lunar Nights Collective. *But once you start following the moon, don’t be surprised if you don’t start to see some synergies! Is this Australia's most beautiful gym?